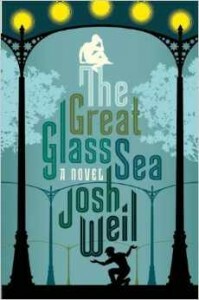 We are pleased to announce Grove Atlantic’s publication of The Great Glass Sea, the debut novel from NER contributor Josh Weil. His piece “Liberation Square” appears in NER 27.2. Josh Weil is a National Book Award “Five Under Thirty-Five” author, and recipient of fellowships from the Fulbright Foundation, Columbia University, the MacDowell Colony, the Bread Loaf Writers’ Conference, and Sewanee. His celebrated collection of novellas, The New Valley, was awarded the Sue Kaufman Prize from the American Academy of Arts and Letters. His fiction has appeared in Esquire, Granta, and other publications. 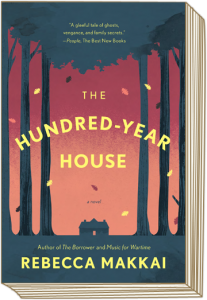 Congratulations to NER contributor Rebecca Makkai on the release of her second novel, The Hundred-Year House (Viking). Rebecca Makkai’s story “The Briefcase” appears in NER 29.2. Rebecca Makkai’s work was chosen by Salman Rushdie for inclusion in Best American Short Stories 2008. Her work has also appeared in Threepenny Review, Iowa Review, Shenandoah, and Sewanee Review. She is a 2004 graduate of the Bread Loaf School of English and in January 2014, she was awarded a $25,000 Creative Writing Fellowship from the National Endowment for the Arts. 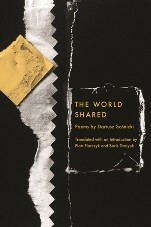 NER congratulates Boris Dralyuk on his translation of Polish poet Darius Sosnicki’s first collection, The World Shared (BOA). Dralyuk’s translation of “The Jolt” appears in NER 34.3-4. Boris Dralyuk has translated several collections of poetry and prose from Russian and Polish. He is the recipient of the 2011 Compass Translation Award and received joint first prize in the 2012 Joseph Brodsky/Stephen Spender Translation Prize with Irina Mashinski. He is a co-editor of the forthcoming Anthology of Russian Literature from Pushkin to Brodsky (Penguin Classics, 2014). These books can be purchased from Powell’s Books and other independent booksellers.